Tom Macmillan joined Rogers Partners as an associate after his call to the bar in 2010. Tom has appeared before the Superior Court of Justice and the Workplace Safety and Insurance Appeals Tribunal. He has a broad civil litigation practice, focusing primarily on insurance litigation on behalf of defendants and plaintiffs. Tom handles claims involving occupiers’ liability, motor vehicle accidents, statutory accident benefits, and property loss. 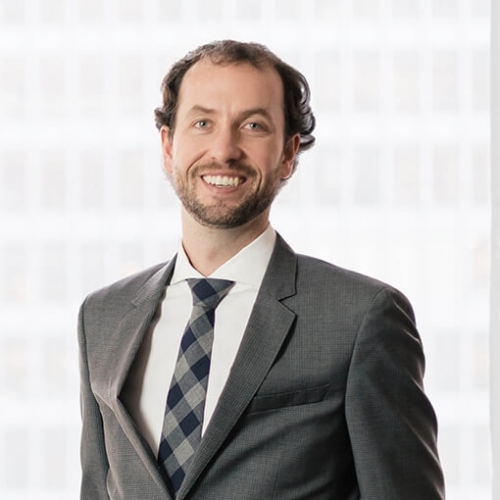 Tom also gained valuable experience with a myriad of commercial, privacy, and contractual issues as part of an extended secondment with one of Rogers Partners’ clients, the Canadian division of the world’s largest retailer of general and consumer merchandise. Feel free to get in touch with Thomas at 416.646.2574 or thomas.macmillan@rogerspartners.com.